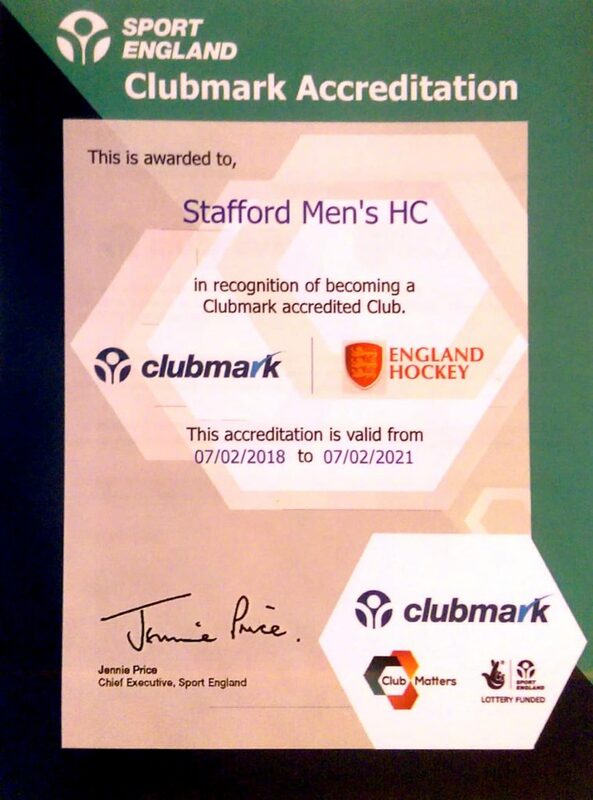 Stafford Hockey Club is proud to hold Sport England’s Clubmark Accreditation. The award recognises that we operate our club to a set of core criteria consistent with good practices to ensure we deliver quality hockey in a sustainable and vibrant club environment. The award also demonstrates that we complete the appropriate risk assessments and have the necessary policies and procedures in place. We achieved our Clubmark Accreditation on 7th February 2018 and it is valid until 2021.